If you have contributor rights, then after logging in you will see the contributor upload icon as shown below. 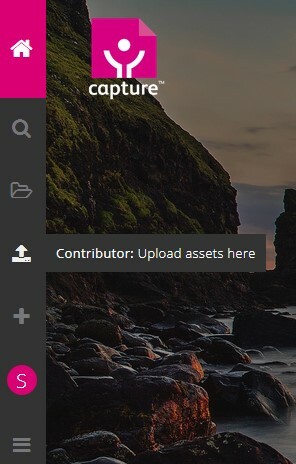 If you click on “Upload assets here” the upload area is displayed. Drag assets into this area to upload them into the back office system, from where they can be managed as required.